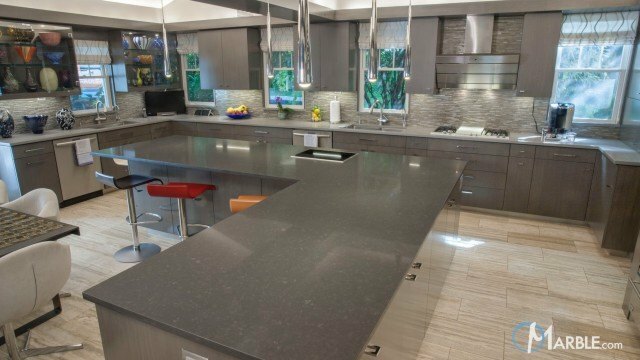 CaesarStone is a line of engineered stone that is made from 93 percent natural quartz and 7 percent polyresin. 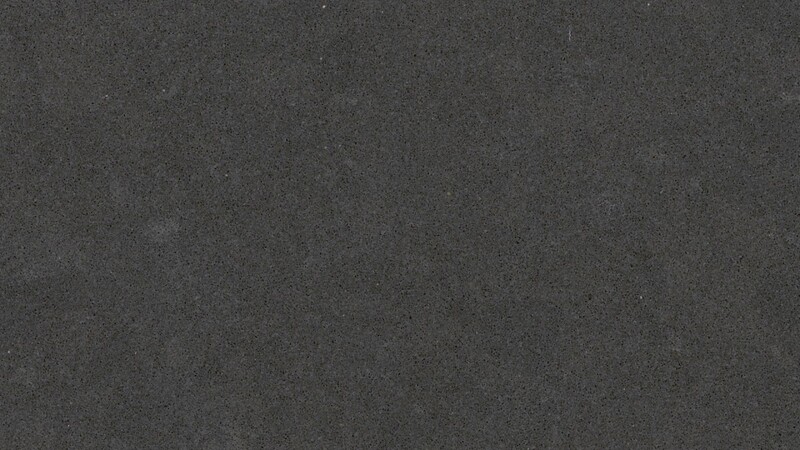 Raven is a consistent black quartz. All CaesarStone slabs are polished and cut 1 1/4 in. thick.